Our Inn, located off of US-33, offers an on-site conference room, fitness center, microwave/refrigerator units, free high speed WiFi, and free continental breakfast from 6-9:30 am. Enjoy our interior corridors. Book now! All guestrooms have been updated and offer free Wi-Fi, flat-screen TVs, and microwave & refrigerator. In-room coffee is available in select rooms. Guests enjoy free continental breakfast each morning. Book now. Franklin Valley Golf Course, 4.2 miles away, is a beautiful, 18 hole, par 71 course that is known as the “Hidden Gem in the Hills” in Southern Ohio. Book now! Hike through Lake Katherine State Nature Preserve, 7.2 mi away, surrounded by cliffs and Appalachian forests. Hocking Hills State Park, 37 miles away, features cascading waterfalls, breathtaking cliffs, caves & more. Book now! Less than 2 miles away is a Dakota’s Steakhouse, Arby’s, Bob Evans, Pizza Hut, Toro Loco, Sonic and Long John Silvers. For a full list of dining options, click here. Book now! 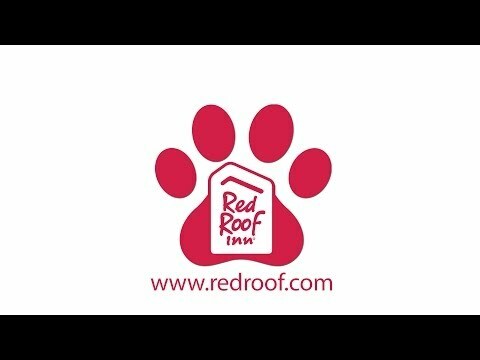 At Red Roof Inn Jackson, Ohio, "You Stay Happy, Pets Stay Free!" Don't lose sleep at night worrying about your four-legged loved one - bring them with you. Book now! Experience the natural beauty of Lake Katherine State Natural Preserve. Learn more. Book now. You'r sure to enjoy your stay with fantastic amenities like free coffee & tea in the lobby, continental breakfast offered daily from 6-9:30 a.m., and a fitness room. Our conference room is available for a fee (please contact the front desk for details). Free high-speed WiFi and coffee and tea are available 24/7. Book your stay now. Start the day off right! In-room coffee is available in select rooms, and coffee and tea are always available in the lobby. Our hotel is near Splash Down Waterpark and Jackson County Fairgrounds. Come experience the hospitality that Red Roof Inn Jackson has to offer. Book now! The Jackson County Fairgrounds (9.2 miles) is home to the Jackson County Ohio Fair held annually in July, which features Harness Racing, Live Concerts, Rodeo, Moto-Cross, Demolition Derby and more. It also hosts events throughout the year like Livestock shows, campouts and more. Book now! Leo Petroglyph State Memorial, 12.3 miles away, contains the remains of the most remarkable rock art in Ohio. The rock surface remains include figures representing humans, birds, a fish and more. The park also contains the Heavy Timber Shelter house and picnic areas. Book now! Visit a family member or a friend, explore the campus, or check out a sporting event at University of Rio Grande (17.9 miles away) or Ohio University – Athens (38 miles away). Book now! Splashdown Country Waterpark & Campground, 7.1 miles away, offers a great place to relax and unwind. The waterslides are fun and thrilling with little to no lines. The picnic and campground area includes barbecue grills, corn hole, volleyball courts and a fishing lake. Book now! Red Roof Jackson has been rated 2 Diamonds by AAA; "Affordable, with modestly enhanced facilities, decor and amenities." We are proud of our rating and are excited to welcome you during your next trip to Jackson! Book here - and remember to click the AAA Rate. "Best place to stay in Jackson"
“I stay in Jackson once a year for two nights. This was my first time at this property and I was very pleasantly surprised. The room was fresh and clean, very comfortable. The staff was friendly. A view of trees out the window. I enjoyed it and will go back.” Read more reviews. Book now! Holzer Medical Center – Jackson, 3.1 miles away, is dedicated to providing their patients with the highest quality of care. Visiting a loved one or having a procedure done? Stay close-by. Book now.